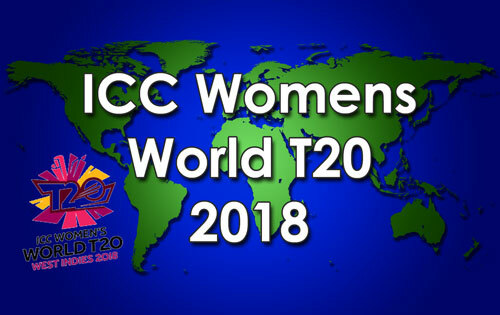 ICC Womens World T20 2018 - South Africa captain Danevan Niekerk – post match press-conference. Q. Dane, how is it to end with the win in the tournament, especially having had consecutive losses? Does that do a little bit in terms of confidence for the team? DANE VAN NIEKERK: Yes and no, I guess. Obviously relief to have won and get a bit of confidence. But I think the team is still quite disappointed. I saw everybody's faces after the game. There's a lot of disappointment around in the camp. And it's going to hurt for a bit. Q. Also relieved that South Africa doesn't have to go through to the qualifiers. Is that a positive that you'll be able to take out of this tournament? DANE VAN NIEKERK: Definitely. Any team doesn't want to go to qualifiers. And I'm glad we dodged that bullet. I guess, yeah, we don't enjoy going to qualifiers. So to not go is a relief. We just spoke about it. So hopefully, you know, we can as a unit go back to the drawing board and see where we've gone wrong and try and rectify those wrongs. Q. In terms of batting, yourself and Lizelle opened the batting really well. You've done so before previously against India earlier this year. Do you think that opening the batting is a position that you might consider in the future? DANE VAN NIEKERK: Yeah, I miss opening. But we had chats with the selectors and stuff and they gave me the reasons why I'm going down the order. And it's okay. But I do miss it. I love playing with Lizelle. I think we complement each other really well. But also saying that, I think Laura is a massive prospect for the future. And not to give her the opportunity is probably enough faith towards her. She's shown how hard she's worked on her game. It didn't come out this way but I know how hard she worked on her game and I'm excited to see her in the future. So I'm glad to give my spot to somebody as talented as she is. Q. South Africa has a young team, the way that the bowlers have gone, really impressive. But the inexperience kind of showed itself in terms of the batting? DANE VAN NIEKERK: Yes. I think that did. But it's not an excuse. We have myself, Lizelle, Kappy, Chloe and Sune in the batting lineup. We had just a couple of youngsters. It's just soft dismissals every single game, stuff we speak about that we just continually do. We don't rectify what we do wrong. And I think that was the most frustrating part for me this whole walk-up: You speak about plans as batters and what you don't want to do but then you go out there and you do exactly that. So I guess we need to get a bit more mentally strong as well. These four teams that's gone through to the semifinals have shown why they deserve to be there. They played incredible cricket and we lacked in the batting department. I'll never fault our bowling. I think our bowling stands up to any team in the world. Q. In terms of the women's game as a whole, lots of entertainment in Saint Lucia during this group's stage of the tournament. Anybody who says anything about women's cricket and not being as entertaining as the men, what would you say to that? DANE VAN NIEKERK: It's probably incorrect. If you followed the games, it wasn't high-scoring. But people have to understand the conditions. They say you're not going to get a belter every game. And it was quite difficult conditions out there for batting. But, again, that's not an excuse. I think the show that the teams put on was brilliant to watch. And a couple of nail-batters. Tonight 10,000 people came out. I had goosebumps that whole second innings when West Indies was chasing, to see a country coming together and supporting the women, it's just amazing to see. It just shows you what the West Indies team is doing at the moment uniting a lot of different islands and getting everybody together. Q. Would you say that that's part of your legacy of this tournament; we're not finished yet, obviously, but would you say that the women's cricket obviously is growing, but the fact that 10,000 people can turn up to watch a game, would you say that's beginning to create its own avenue? DANE VAN NIEKERK: Yes, definitely. I think it was brilliant. And I heard the game was sold out. Obviously, I was in shock because I knew it was going to be a great game between two great teams. And to get in there and see the atmosphere, 10,000 people can rock out, but 10,000 really excited fans that each and every person has rhythm, it's quite exciting to see. And just the women's game deserves a fan base like that. And I hope the whole world saw how much fun the fans had tonight, and all credit to two very good sides that put up a very good show for them. Q. This tournament was a stand-alone, obviously, without the men's. And the next one is going to be as well. Do you think that that's the way it should be going in the future? DANE VAN NIEKERK: Yes. Definitely. I think we need to create our own brand. As women's cricketers and women cricketers, we can't shy behind the men anymore because I think that's where people make the mistake of comparing women's cricket to men's cricket. And our skill is just as good in our own right. So we need to shy away from being labelled, I guess, the same as the men because I think that's when people get their expectations all mixed up. I think it's the way to go and hopefully it will stay. Q. As you look forward now to the next opportunities and tournaments, take you back a little bit. You were here in the Caribbean in September building up to this tournament. Now this is finished, you've done your postmortem, what's next for you and how do you see your team moving forward in stride? DANE VAN NIEKERK: Well, there's I think six of us going to the Big Bash League, which is brilliant, training and preparation for obviously the T20 cricket that's coming up. We've got Sri Lanka early next year. And I'm 100% sure nobody is going to sit around and have a good festive season. We know there's a lot of hard work for us. So we'll see tomorrow and just give everybody their list to make sure that they cover everything when we get together, got a home series now I think against three different south continent teams. I'm excited to play at home and hopefully you know South Africans can turn up.